Making a bootable USB flash drive for Windows Vista and Windows 7 isn’t all that tricky, but it’s always nice to find an app that simplifies things. Not only does WinToFlash make the process about as easy as it can get, but it can also create Windows XP, Server 2003, and Server 2008 installers. The handy app also has one more trick up its sleeve: moving Windows Preinstall environments. PE discs can be extremely handy for troubleshooting and repairs, and being able to painlessly zap them over to a USB flash drive means not having to burn a new copy every time someone’s haggard old optical drive decides to chew up your CD. 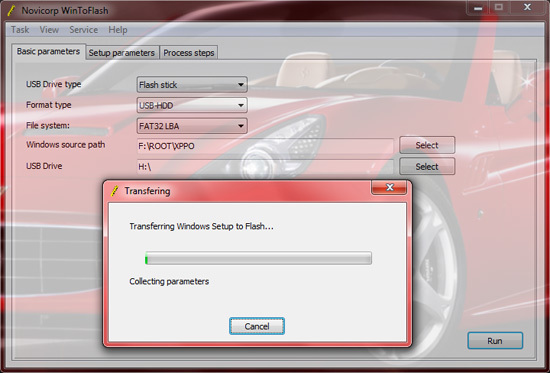 WinToFlash is a free download and is totally portable. It’s an excellent tool to add to your USB-related utilities.